The appearance of dunes and beaches might soon be changing due to the increase in carbon dioxide emissions in the atmosphere, already a significant factor in the ongoing phenomena of climate change. The findings are the result of a study coordinated by the Institute for the Study of Anthropic Impacts and Sustainability in Marine Environments of the National Research Council (CNR-IAS) of Oristano, carried out in collaboration with Ca' Foscari University of Venice. The research, published in the journal Climatic Change, analyzed the chain reaction of effects on the marine environment triggered by the rise in CO2, estimating that from now to 2100 the accumulation of sediment at the base of the Mediterranean dune systems could fall by 31%, with erosion of beaches and an increased risk of flooding. The case study analyzed by the researchers was the Bay of San Giovanni, along the Sinis peninsula in Sardinia. 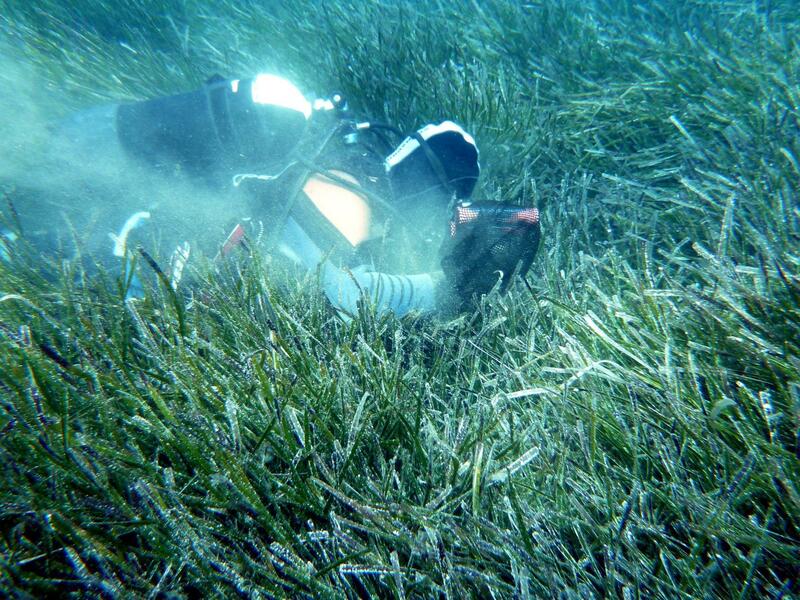 "Far from the mouths of rivers, dune-beach systems can be formed, either wholly or partially, by carbonate sediment produced by marine ecosystems, for example the underwater grasslands of Posidonia oceanica", explains Simone Simeone, CNR-las researcher and coordinator of the study. "These sediments may be dissolved by the increasing acidity of the seas; according to recent studies, by the end of the century the marine pH may have fallen by 0.4 units. What is causing the acidification of the oceans, as is widely known, the rising levels of carbon dioxide in the atmosphere." The research has revealed that the effects of this phenomenon can distort the sedimentary balance of a beach-dune system. "We have found that a significant quantity of the sediment forming the beach-dune system is made up of the remains of organisms which are vulnerable to the effects of acidification. A decrease in pH could significantly affect the prevalence of these organisms in marine ecosystems and consequently reduce carbonate sediment," adds Simeone. However, even submerged sediments would be at risk. "We are dealing with the 'foundations' of the beach-dune system, the sedimentary balance of which might be disrupted. Some beaches that are progressively growing or stable environments might turn into eroding environments. Furthermore, this research demonstrates that the effect of acidification on the beach-dune system, combined with the expected rise in sea level, will result in further withdrawal of the shore line as well as an increase in the adverse effects of floods," concludes Emanuela Molinaroli, professor of geomorphology and sedimentology for the Department of Environmental Sciences, Informatics and Statistics of Ca ' Foscari.